Find Camby, IN Homes for sale. View Photos, Maps and MLS Data Now! 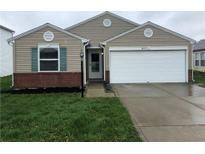 Heartland Crossing - Close to interstates and restaurants. MOVE IN READY CONDITION! MLS#21635591. Carpenter, REALTORS®. Harvard Green - Neighborhood with park/playground too! Close to shopping and interstate. MLS#21635527. The Stewart Home Group. Heartland Crossing - Hurry, this won't last at this price! MLS#21635297. Highgarden Real Estate. Fenced-in back yard and new roof last year! Home is move-in ready! ! MLS#21635144. Carpenter, REALTORS®. Northfield At Heartland Crossing - This one won't last!! Minutes from Indy! MLS#21629154. RE/MAX Advanced Realty. 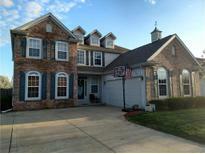 Heartland Crossing - Don't miss this great home ! MLS#21634828. RE/MAX Advanced Realty. Heartland Crossing - FEATURES: FIRST FLOOR OFFICE, large eat-in kitchen with breakfast bar, stainless steel appliances, pantry & lots of cabinets, GAS LOG FIREPLACE, 48x13 paver patio with pergola, privacy fenced rear yard, WEEK OLD QUALITY GRADE CARPET ( $5800 cost ), oversized 20x19 4th bedroom with two large closets, vaulted ceiling in master bedroom, garden tub with separate shower master bathroom, hall bath with separate shower room, walk in closets in bedroom 2 & 3, etc... HEARTLAND CROSSING COMMUNITY FEATURES: pool, shopping complex, GOLF COURSE, tennis, playgrounds, walking trails, etc... REALLY NICE FLOOR PLAN! Mooresville school system! MLS#21633804. RE/MAX Advanced Realty. Come enjoy the late evenings relaxing on the patio! No HOA, move-in ready! MLS#21633648. 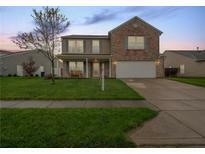 Keller Williams Indy Metro S.
Very close to schools. 2-car detached garage. MLS#21633248. Carpenter, REALTORS®. Heartland Crossing - No money down USDA financing available! MLS#21633211. The Stewart Home Group. 30x40 pole barn to park, store or work on your stuff. This is a must see! MLS#21630715. F.C. Tucker Company. Coming Soon! MLS#21632961. F.C. Tucker Company. 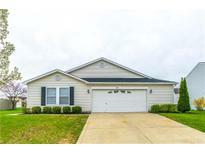 Heartland Crossing - New roof 2016, water heater 2016, fridge 2015, stove dishwasher 2016, Garage door opener springs replaced and service updates Shutters and door painted in 2017. fixtures blinds paint flooring many more upgrades inside in 2018 MLS#21632317. The Modglin Group. Also features 3 additional bedrooms and a Jack-n-Jill bath. MLS#21630943. The Stewart Home Group. Heartland Crossing - This home is ready for you! 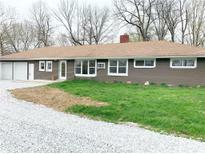 MLS#21632525. F.C. Tucker Company. Renovations include: kitchen, counters, back splash, appliances, engineered laminate flooring throughout, windows, bathrooms, fixtures, lockers, new 2 car detached garage, water heater, hardware, patio with newly remodeled open floor plan with walk in closets! COUNTRY LIFE WITH CITY AMENITIES! MLS#21632388. David Hunter. Heartland Crossing - Neighborhood pool, playground, basketball, tennis courts, and golf. MLS#21632666. CENTURY 21 Scheetz. Heartland Crossing - This one is worth a look! MLS#21630995. CENTURY 21 Scheetz. Can lights, vaulted and tray ceilings, fluted stained wood working, hard surface bathroom counter tops...home has been meticulously maintained! MLS#21631839. F.C. Tucker Company. Wildwood Shores - Covered front porch and deck off back are both perfect for relaxing after a hard day's work or playing on the 35 acre lake that you have access to. MLS#21632449. Carpenter, REALTORS®. Harvard Green - Still under builders warranty. Instant equity on this home. MLS#21631051. 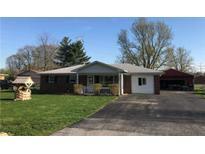 Keller Williams Indy Metro S.
Close to everything but you still have the Country Feel. Set your showing today! ! MLS#21632504. RSW HOMES LLC. Northfield At Heartland Crossing - Move in ready with tons of upgrades! MLS#21631973. Carpenter, REALTORS®. Camby Village - Please note the the seller has asked for 24 hours notice to show the home. MLS#21632076. Mejia Realty LLC.